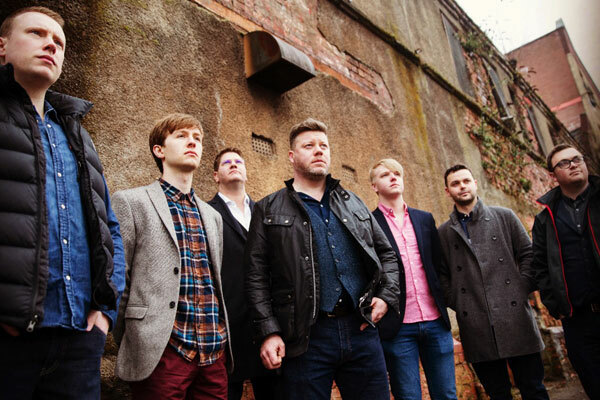 Having come storming back from the edge of existence when they lost their former lead singer in 2016, Highland band Skipinnish, who have roots on Coll’s neighbouring island of Tiree have powered through their biggest year yet. In the 19-year history of the band their current popularity is unprecedented and is growing at an accelerating rate. Having started 2017 with their hit single, “Alive” which they followed with the Album, “The Seventh Wave”, the magic of this band’s music and self penned songs are enchanting more and more people from Scotland and across the world all the time. The end of the year has brought another run of sell-out shows, yet another hit single, “Wishing Well”, and to top off 2017, Skipinnish were named Live Act of the Year at the Trad Music Awards. As well as headlining some of the UK’s biggest festivals, Skipinnish sold out every single venue they appeared at in 2017 and all shows of 2018 so far. Some of the most notable sell-outs of last year were The Barrowland Ballroom in Glasgow, Eden Court Theatre in Inverness, The Lemon Tree in Aberdeen, The Albert Halls in Stirling and Perth Concert Hall. This year they have already sold out Glasgow’s Pavilion Theatre, Pitlochry Theatre and two consecutive nights at Eden Court Theatre! Skipinnish are on the crest of a wave that is growing bigger and more powerful with every performance. How far the band’s popularity will continue to grow is difficult to predict, recent gigs are anything to go by their wave is on the way to great heights and a return to Coll in September is being looking forward to greatly!